They may have one point, though, according to recent announcements. According to reports released by Microsoft XBox developers, the XBox one will allow independent game developers to self publish their games on the console. This is a big hit for XBox, as Sony has already allowed this since its last generation console was released. Congratulations to XBox for evening the playing field. Another interesting factor, though, is that the technology may not just be for the Next Gen console and Microsoft may be gaining ground with the last generation console as well. Recent reports on computerandvideogames.com have noted that hints have been made about the fact that the technology may be made available to XBox Live users operating the 360 as well. According to reports, the program will not just be available with the XBox one, but recent reports state that it may be available as soon as August, meaning XBox 360 users can upload their own independent games. These may just be rumors, though, because when asked, Microsoft did not confirm any changes made for XBox 360 users as well, but the XBox One will be able to be used for game development. 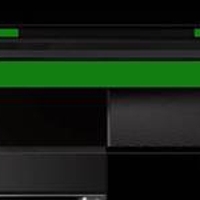 As of now, the news may be just a rumor for the users of XBox 360, but it is a very big reality for users of the XBox One that will help Microsoft gain ground in what is fast becoming the most anticipated console race yet.